A self-writing journal of your life, with superpowers! 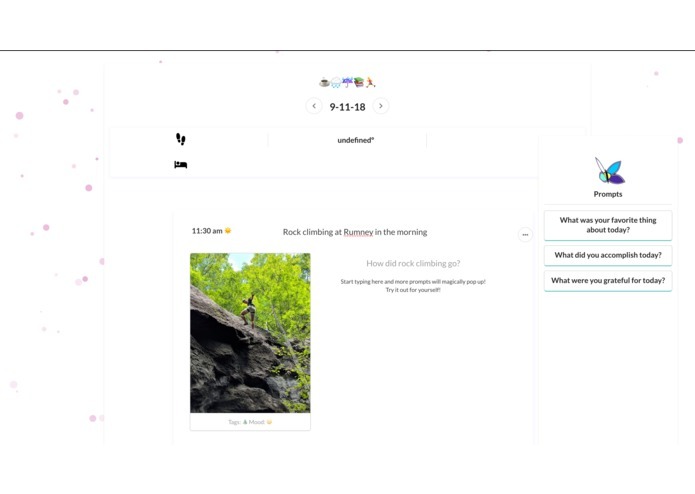 We make journaling easier and more engaging than ever before by leveraging home-grown, cutting edge, CNN + LSTM models to do novel text generation to prompt our users to practice active reflection by journaling! Real time question generation based on (real-time) user journaling (and the rest of their writing)! Ad-lib style questions - we extract location and analyze the user's activity to generate a fun question! And, honestly, SO much more! Please come see!